Melinda Reay, a social studies teacher here at Skyline High School was born in DeKalb, Illinois, approximately 70 miles away from Chicago. However, she was raised in Eagle, Idaho, a town ten miles away from Boise. After graduating from her local high school, she attended Utah State University. Reay studied history, geography, psychology, sociology, economics, and political science in school and eventually graduated with a social studies composite teaching degree. With her background, Reay now teaches both core and AP US History. From the start, Reay has expressed that she has always wanted to be a teacher. She continued to say that ever since the age of 4, she had been drawn to teaching. Ms. Reay was previously was employed at two schools before landing at Skyline High School. After teaching at Murray High School and a charter school in West Valley, she decided to come to Skyline because of it’s well-respected reputation, and it’s more AP focused curriculum. When asked to comment on Skyline, Reay said that it’s more AP oriented. She also noted that she enjoyed Skyline High more than her two previous jobs. 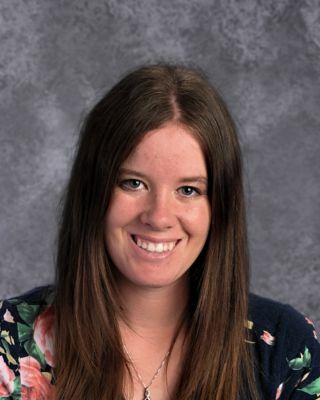 At one point, Reay remarked that Skyline was more high rigor, and that, in her own words, “the students are a step above those I’ve taught at other schools.” Based on statistics, her words are true. During the 2016-2017 school year, Skyline’s average grade was a B. On the other hand, Murray High School’s average grade during the 2016-2017 school year was an F.
Ms. Reay ended the interview with a short story about her first days at Skyline. She observed that before coming to Skyline, a student had never thanked her for a lesson, at either of her earlier schools. Then, on the first period of her first day teaching at Skyline, a student thanked her for the lesson. Reay continued to remark that at least 3 students thanked her for the lesson each period after that. She also said that other teachers felt the same way about students at Skyline, that the students were kind and hard workers. Reay is a wonderful teacher who had many kind words to say about Skyline. She and other teachers really do appreciate Skyline students. All students should be sure to be kind to their teachers, as it can affect them for the better.